Faulty flashings are the number one cause of leaks. After all, they’re located in places where water tends to collect. They may be made from a durable metal, but their sealant doesn’t share their longevity. The tar used to fill the voids around the flashing could deteriorate, developing gaps on its own. Regardless of the condition of the old flashing, a new one needs to be applied to ensure long-term, water resistance. Craze-cracking appears on the surface of asphalt shingles as their volatiles dissipate with exposure to ultraviolet light. The cold isn’t only going to make it worse with thermal cycling. 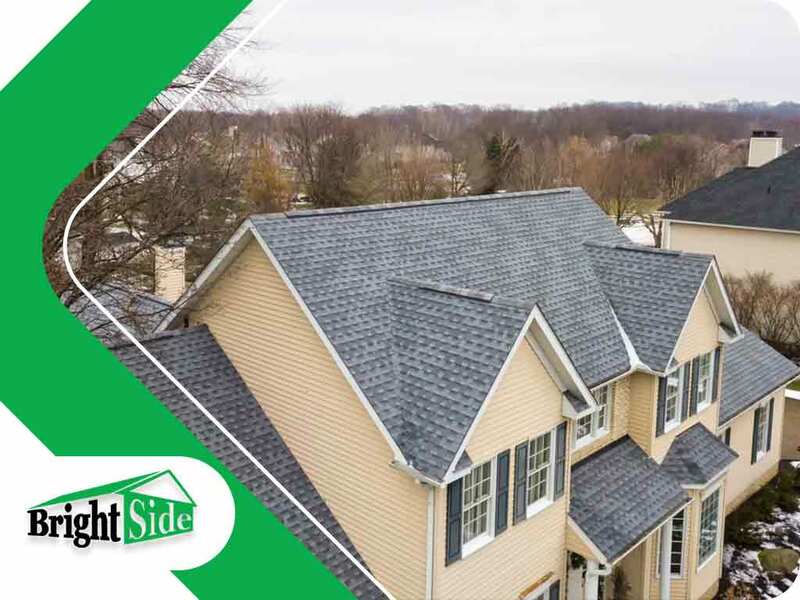 Although not all affected shingles would necessarily split any time during the winter, a specialist could tell whether a roof repair is needed. A clean gutter system makes for uninterrupted drainage. Any encumbrance can trap water, which will wreak havoc on your home one way or another. The more tall, the deciduous trees are that surround your home, the greater the need to clean your gutters and downspouts. Do you normally see ice dams form around the edge of your roof in the winter? It’s actually not normal. It’s natural for snow to accumulate on the rooftop, but it shouldn’t turn into hazardous icicles along the overhangs. The main culprit behind this phenomenon is insufficient attic ventilation. Without enough airflow beneath the roof planes, the surface will be warmer than the outside, melting the snow slowly but surely. Then, the water refreezes upon reaching the colder eaves, forming ridges of ice. Ignoring it is flirting with disaster, which ultimately leads to premature roof replacement. Get your roof thoroughly inspected ahead of winter. Bright Side Exteriors will leave no causes for concern undiscovered or unaddressed. Call us at (302) 724-4342 to discuss your roofing needs in Lewes, Delaware, or any neighboring community and receive a free estimate.